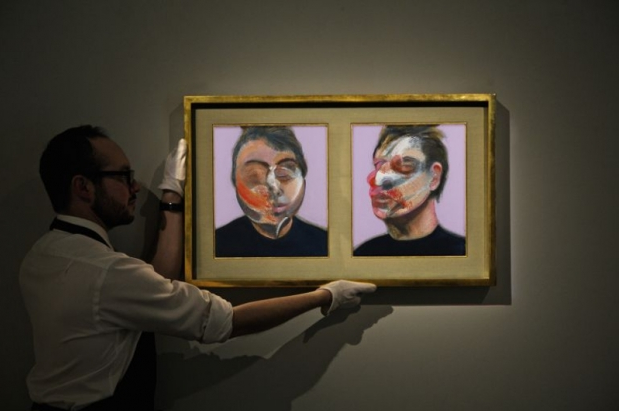 Five paintings by British artist Francis Bacon were stolen from a Madrid home. The paintings, worth an estimated combined 23.2 million pounds or 30 million euros. This theft is the largest one to take place in Spain in the last several decades. Though the heist took place in June 2015, it is just now becoming public knowledge for unspecified reasons. The art thieves left no trace of themselves in the home of J.C.B., the paintings’ owner who is said to have been a close friend of Bacon’s. But while the thieves have not yet been caught, it seems they tracked J.C.B.’s movements to make sure he wouldn’t come home to catch them while they were stealing the pieces. The heist was actually kind of an impressive one (not that that excuses theft, of course). The group broke into a five-story apartment complex without being seen by security, a doorman, or any neighbors. They managed to deactivate the alarm and break into a private residence without drawing any attention to themselves. There is also no footage of them on local security cameras, though the building itself did not have cameras of its own. Local police believe the stolen paintings are still on Spanish soil. Police have been on special watch lately during ARCO, Madrid’s contemporary art fair, during which time they believed some paintings were likely either to be stolen or that somebody would certainly try. “The circle in which [works like Bacon’s] can be sold is very small,” said an expert in contemporary paintings who spoke to El País, the Spanish news source who first reported the crime. “It’s not easy at all to offer a Francis Bacon, without news reaching the scouters of this specific sector. It won’t be easy for the thieves,” the expert added. Bacon’s works remain hugely popular and highly sought-after. Bacon, who died at 82 in 1992, is known for the beautiful, heartbreaking content of his works, from self-portraits to expressions of color. A particular self-portrait by the artist is set to go up for auction at Sotheby’s for the first time ever. The painting depicts the artist with “dramatic brushstrokes and an Impressionistic palette” to demonstrate an “elated” state. This painting is expect to sell for between $22 and $30 million. If that’s what Bacon paintings go for, the thieves of the five Madrid paintings will have trouble getting anywhere with them.